When it comes to Mexico or Caribbean vacations there is definitely no shortage in Family All-Inclusive resorts. For many it is the ultimate in vacationing and not having to pull out the wallet. There may be some level of variations among resorts but they mostly include the meals, drinks, and taxes. Many of the All-Inclusive resorts also include non-motorized water sports and evening shows. Some have beach parties on a certain evening of the week. Many of the resorts are beginning to throw in a "Resort Credit" that can be used on property towards a massage at the spa or even some sightseeing or soft adventure. While most All-Inclusive resorts have the general concept, it is very important that the right resort is chosen for you and your family. 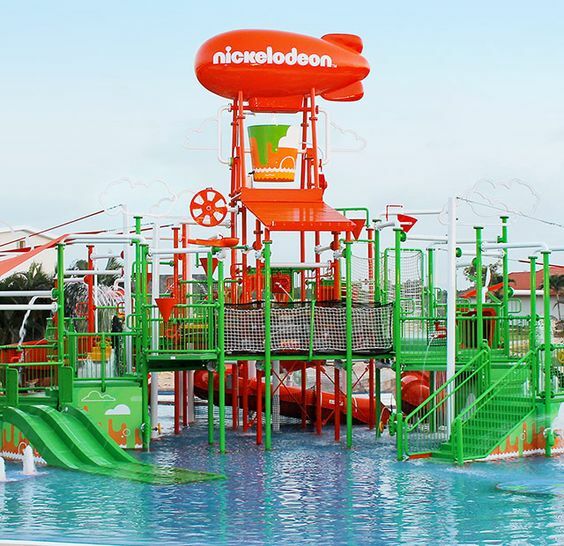 Picture provided by Nickelodeon Resorts. 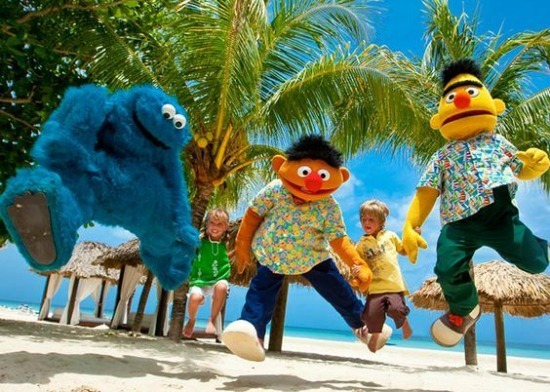 Family adventure fun at All-Inclusive Resorts. There are resorts with adventure parks, resorts focused on small children or families with teens and even that special multi-gen family with grandparents joining in on the family adventures . Some resorts realize that the children’s’ club isn’t just a place to drop off your children but a place for the whole family to enjoy. Pools with water slides and fun activities, bike rentals, and X-box gaming that caters to total family concept. Resorts are constantly coming up with new and enticing adventures to bring in new experiences to delight the whole family. All-Inclusive resorts also recognize the Solo Parents wanting to travel with their children. Some offer discounts where the child may travel for free. For single parents, taking advantage of the numerous child-friendly amenities at a resort, means the parent has a moment to enjoy some alone time for themselves. Many kids clubs that cater to kids get an age-appropriate lesson that's designed to be engaging. Vacations can be arranged where everything is included. All you need to do is enjoy the single parent and child relationship and start making your own memories of traveling together. Picture from Finest Resorts. Mother and daughter enjoying their time together. 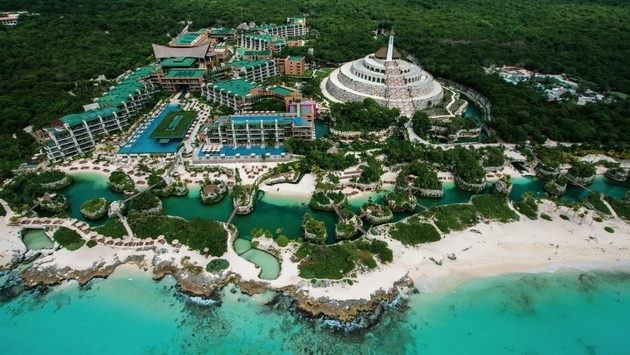 Hotel Xcaret Mexico has the key to family adventure with Zip-lines, ATV rides, and complimentary access to all eight parks as well as archaeological tours to cenotes and Chichen Itza. Families can also snorkel and paddle-boarding, dine together family style and hang out the Xiipal Family Club. Picture provide by Hotel Xcaret. Access to eight parks and Archaeological tours and cenotes. Working with a Travel Advisor can help you decipher all the resorts and what value they can bring to you and your family. With extensive training and seeing the resorts we can help choose the correct accommodations, and resort experiences. So who's ready for some sun and fun? Contact Travel Journeys in Castle Rock, CO for your next family vacation at 303-663-0238 or Email: Getaways@Travel-Journeys.com.